Reading and share top 3 famous quotes and sayings about First Meeting A Friend by famous authors and people. 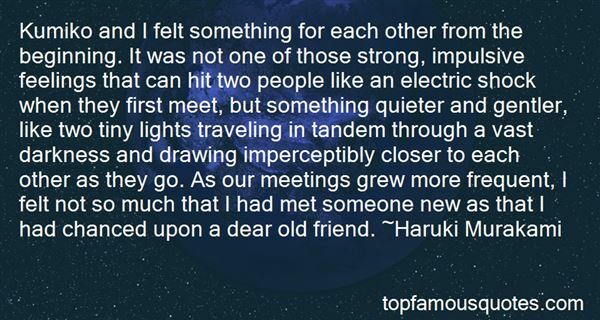 Browse top 3 famous quotes and sayings about First Meeting A Friend by most favorite authors. 1. "Why did popular songs always focus on romantic love? Why this preoccupation with first meetings, sad partings, honeyed kisses, heartbreak, when life was also full of children's births and trips to the shore and longtime jokes with friends? 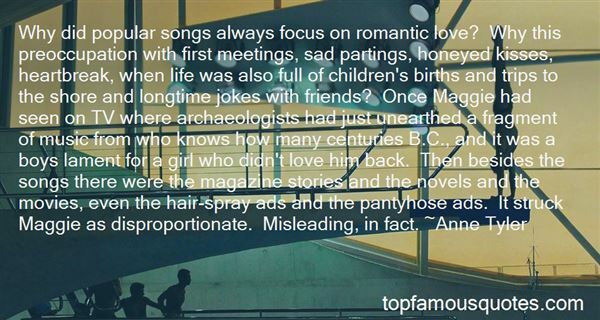 Once Maggie had seen on TV where archaeologists had just unearthed a fragment of music from who knows how many centuries B.C., and it was a boys lament for a girl who didn't love him back. Then besides the songs there were the magazine stories and the novels and the movies, even the hair-spray ads and the pantyhose ads. It struck Maggie as disproportionate. Misleading, in fact." 2. "Kumiko and I felt something for each other from the beginning. It was not one of those strong, impulsive feelings that can hit two people like an electric shock when they first meet, but something quieter and gentler, like two tiny lights traveling in tandem through a vast darkness and drawing imperceptibly closer to each other as they go. As our meetings grew more frequent, I felt not so much that I had met someone new as that I had chanced upon a dear old friend." 3. 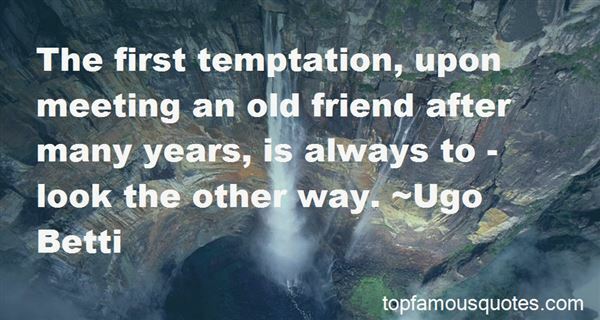 "The first temptation, upon meeting an old friend after many years, is always to - look the other way." Good Soldiers don't sacrifice the cause for love - LucasIf the cause isn't love then it isn't worth the sacrifice"